War Simulator is a great game in which you must train your troops to face the enemy army. Your mission will be to compose the army, they will be in charge of the fight. 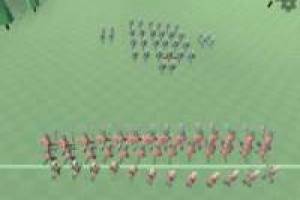 Look at the rival army and start forming yours to face them. You have three types of soldiers: Those armed with axes, those armed with spear and archers. You should put the amount you want of each of them, taking into account that each one has a cost and you have a limited budget. With each victory you can increase that budget and make your army bigger, in addition to the next opponent will also be more numerous and strong. 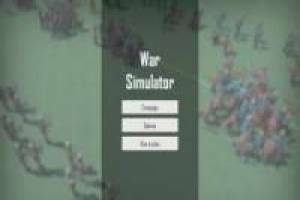 Create your own war in War Simulator and get the victory. Enjoy the game War Simulator, it's free, it's one of our battles games we've selected.